Korea, Japan and China combined to win 2 Silver medals and 7 Bronzes in the just concluded World Fencing Championships for Junior and Cadet, held in Torun Poland. 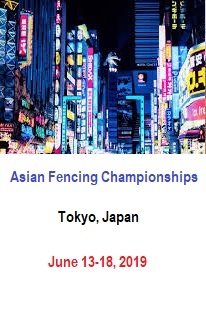 After nine days of competition, Asian fencers failed to gain a gold medal finish in a disappointing competition compared to last year's edition in Verona Italy. 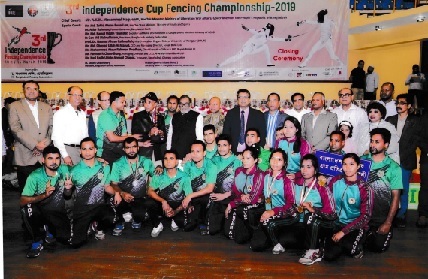 The 3rd Independence Cup Fencing Championships-2019 was held successfully in Sheed Suhrawardy Indoor Stadium, Mirpur-10, Dhaka, Bangladesh between March 10 to 14 2019. 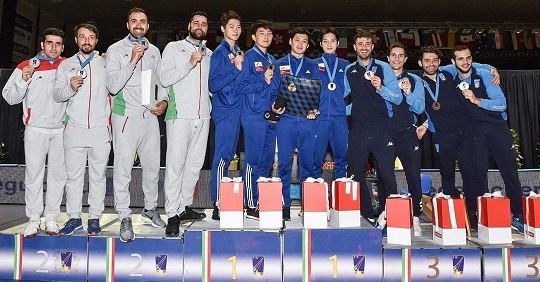 For the first time in the history of fencing Korea and Iran defeated all the European and American opponents and reached the final of Padua, Italy Sabre Team World Cup. Team Korea has dominated the Juniors events of the recently concluded 2019 Asian Juniors and Cadets Fencing championships held in Amman Jordan. Winning 6 gold medals, 5 silvers and 6 bronzes, Korean fencers continue their overall performance over their Asian counterparts. China, Japan, and Singapore finished with two golds each. China placed second overall with one bronze medal ahead of Japan. His Excellency the President of the Kuwaiti Parliament Marzouq Al Ghanim, and Kuwait's Ambassador to Jordan. Made a reception and official dinner for the Kuwaiti Fencing team participating in the Asian Cadet and Junior Championships 2019 in Jordan after Kuwaiti Fencing Team won two medals / Silver medal in the men saber cadet teams and bronze medal in the men Epee cadet teams. In the General Assembly of the Olympic Council of Asia held recently in Bangkok, it was decided that in the 2022 Asian Games to be held in Hangzhou China, countries in the Oceania will be invited to participate. This will be the first time that Oceania NOCs will take part in the Asian Games, which is the biggest multi-sport Games next to the Olympics. 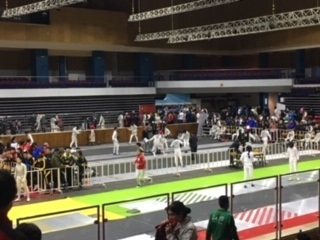 With more than 700 fencers participating, the 2019 Asian Juniors and Cadets Fencing Championships in Amman Jordan may be considered the biggest ever in the 30 years history of the confederation. 34 countries in Asia and Oceania were represented in the competition, which features a total of 24 events, 12 events for Cadets and 12 events for Juniors. Competition days will be played from February 27 to March 8, 2019. 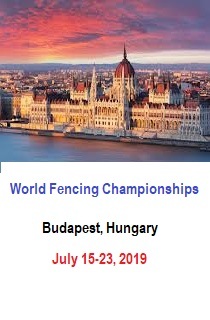 The International Fencing Federation has accepted five fencers from Asia to participate in the FIE Training Camp to be held in Torun Poland before the 2019 World Juniors and Cadets Fencing Championships. 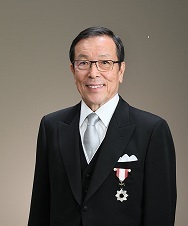 TOKYO, Japan, November 28, 2018-Atsushi Harinishi, member of the FIE SEMI Commission and adviser to the Japan Fencing Federation, has been awarded "The Order of the Rising Sun, Gold and Silver Rays". BANGLADESH 3RD NATIONAL FENCING CHAMPIONSHIP-2018 HELD ON 24-28 NOVEMBER 2018. 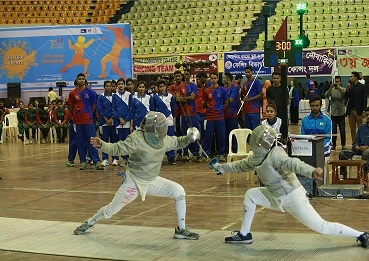 The 3rd National Fencing Championship-2018 was held successfully in Shaheed Suhrawardy Indoor Stadium, Mirpur-10, Dhaka, Bangladesh between 24 to 28 of November 2018. We hired one foreign Referee namely Mr. Navendran Lohith (FIE Registered) from India and also had Mr. Maduma Sello Given of South Africa (Last One Year) our National Coach for this tournament for neutral judgement in the championship. 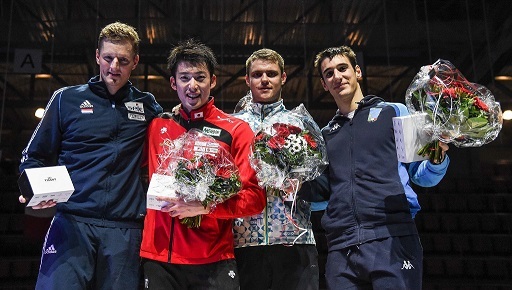 Japan's Kazuyasu Minobe won the individual gold medal at the International Fencing Federation (FIE) Men's Epee World Cup in Berne after beating The Netherlands' Bas Verwijlen in the final round. South Korea's fencers finished on a high at the International Fencing Federation's Men's Sabre World Cup in Algiers today as they won the concluding team event. A day after Hansol Ha had claimed victory in the individual event at the Salle Omnisports Harcha Hacene, he and his colleagues added another gold with a 45-31 win over Russia. 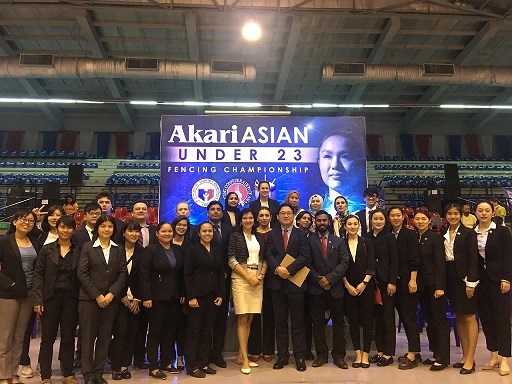 With 17 countries participating, the Asian U-23 Fencing Championships in Manila was a big success. 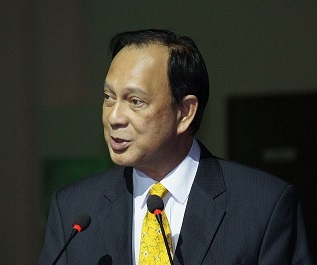 The Philippine Fencing Association was only able to set-up nine (9) pistes but all colored pistes and podium had video refereeing equipment which was a big help in the officiating of bouts. 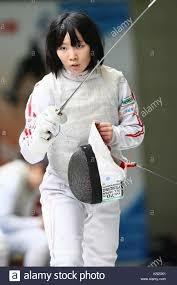 Japanese Foilist YUKA UENO has set a record of sorts by winning the gold medals in all three youth competitions organised by the International Fencing Federation this year. 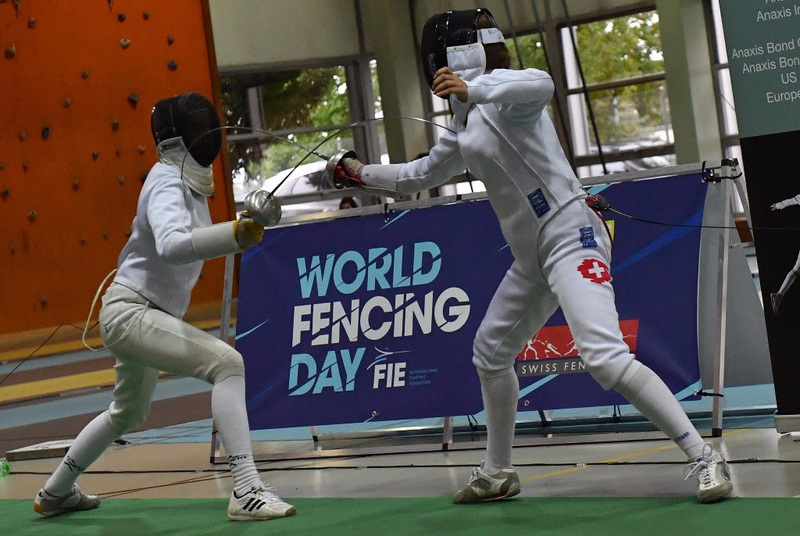 The second year High School, 16 year old YUKA copped the championships in the Individual girl's Foil event of the just concluded World Youth Olympic Games recently held in Buenos Aires in Argentina. She finished as the top medal winner for Asia in this competition, though other Asian fencers won silver and bronze medals too. An All Women C-License Referee Seminar and Examination was conducted recently in Manila from October 13-17, 2018 to coincide with the Asian U-23 Fencing Championships. This was made possible through the efforts of the FIE Women and Fencing Council in cooperation with the Fencing Confederation of Asia to make sure that more women referees were developed in fencing. The seminar and exam were conducted by no less than two members of the FIE Referee Commission, Ms. Ianka Dakova and Mr. Kim Chang Gon. 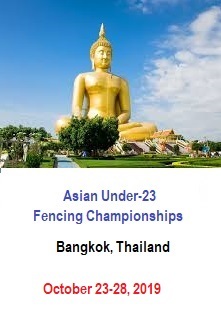 This year's Asian Under 23 Fencing Championships to be held in Bangkok Thailand has been rescheduled for October 23 to 28, 2019 (instead of the original schedule of October 19-24, 2019). The Amateur Fencing Association of Thailand has announced the change following conflicts which led to the unavailability of the competition venue. In the recently concluded Asian Juniors and Cadets Fencing Championships held in Amman, Jordan, Korea led all federations in the medal tally after winning 11 gold medals, 7 silvers and 10 bronzes. 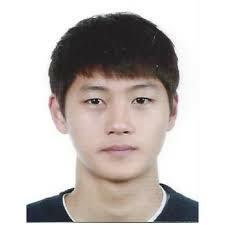 Korean fencers scored the highest in the junior events with a 6 gold medal record, while it tied with Japan in the Cadet events with 5 gold medals each. The FCA Technical Commission in coordination with the FCA Women and Sports Council have agreed to jointly organize the 2nd Asian Competition Management Seminar from August 13 to 17, 2019 in Taipei City. This developmental project is aimed at enhancing the skills and efficiency of the participants in organizing fencing competitions and to increase and rejuvenate the pool of potential DT members for FCA Championships in the future, with a focus on increasing the number of women officials. The guidelines governing the competitions under the Asian Veterans Circuit were also approved during the recent FCA Executive Board meeting held in Amman Jordan. For the first time ever, Uzbekistan will host an FCA competition by organizing the Asian Juniors and Cadets Fencing Championships in 2021. 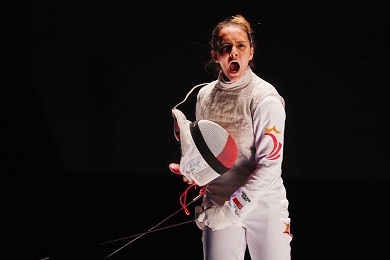 The competition will be held in the capital city of Tashkent which was also the city which hosted the World Juniors and Cadets Fencing Championships in 2015. 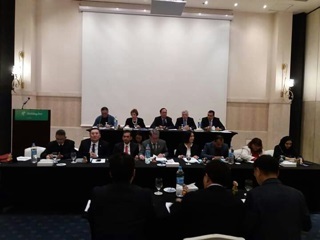 The FCA General Assembly held at the Holiday Inn in Amman Jordan has discussed and decided on many important proposals all aimed at helping its member federations in their tasks of developing fencing. These proposals were presented by FCA President Celso Dayrit in a well attended assembly held for the first time in West Asia. 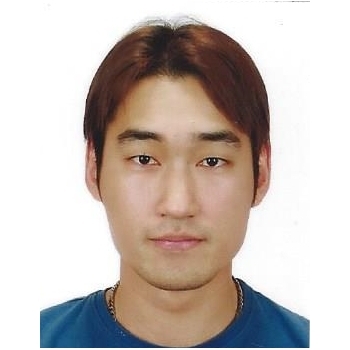 The FCA Executive Board has recently approved to accept as its Vice President Mr. CHOI SHIN WON, who is the incumbent president of the Korean Fencing Federation. Mr. Choi replace Mr Kim Hiyong in the same position, and will serve the unexpired term of the latter until the end of 2020. Wakayama, Japan - 5th Sept., 2018. 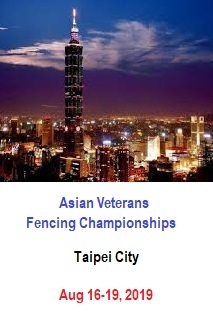 Three Hundred and Seventy veteran fencers from 12 Countries stirred up a storm at the 4th Asian Veteran Fencing Championships (AVFC) in Wakayama Japan, the largest field so far in the short history of AVFC. 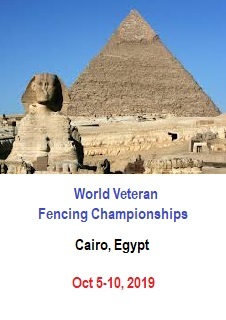 Fencers competed in 4 age categories, 40-49 (for ladies 35-49), 50-59, 60-69 and over 70. All weapon groups in individual and team events were participated this year and with notable increase in participation in the higher age groups. 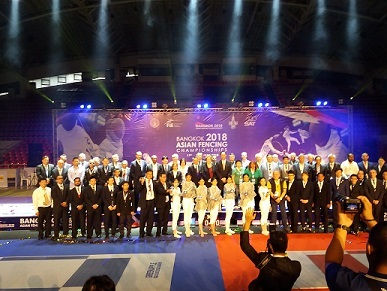 As expected, the Amateur Fencing Association of Thailand organized a successful 2018 Asian Fencing Championships (AFC). It was held at the Thamasssat University in Bangkok from June 17 to 22, 2018. The main hall housed the four colored pistes and the final podium while 16 pistes were laid out in the adjacent hall. Entries were at a record high of 417 participants from 32 countries including Australia and New Zealand. During the meeting of the FCA Executive Board held in Bangkok Thailand on June 16 2018, it was decided that the 2019 FCA Executive Board meeting and the 2019 FCA General Assembly will be held in Amman Jordan in conjunction with the 2019 Asian Juniors and Cadets Fencing Championships. Chinese Fencing Federation president Wang Haibin was accepted into the FCA Executive Board as the new Director for East Asian region. 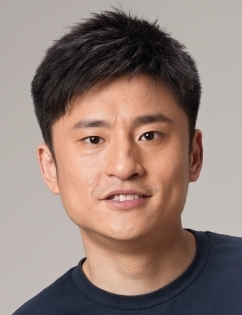 His term is until the end of 2020 thus serving the unexpired term of Wang Wei who has recently retired from the CFF. PARIS, France, Dec. 8, 2018-The International Fencing Federation (FIE) has completed its annual Congress meeting in Paris, France, accomplishing multiple decisions and procedures as part of its official charter. 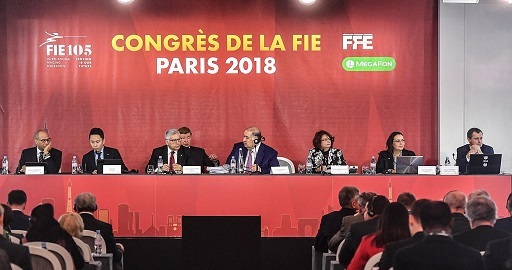 The Congress, which took place at the Paris "Pavillon d'Armenonville", had 135 federations present or represented, as well as FIE Commissions and Councils, members of the Executive Committee and members of Honour. In addition to this year's Congress, the FIE is also celebrating its 105th anniversary. 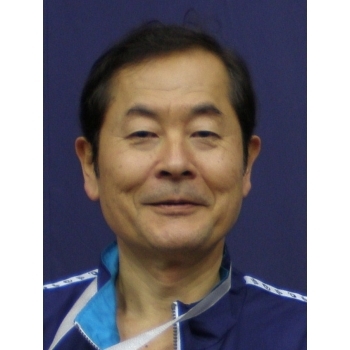 During its meeting held in Paris France, the FIE Executive Committee has elected Mr. YUKI OTA (Japan) as the new FIE Vice President. He joins Donald Anthony (USA) and Anna Pascu (Romania) as the three vice presidents under the presidency of Me. 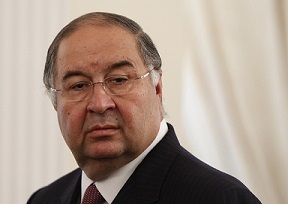 Alisher Usmanov. 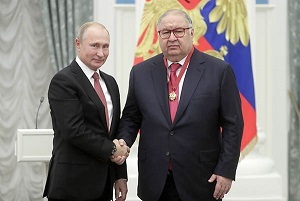 ALISHER USMANOV RECEIVES RUSSIAN STATE AWARD "FOR MERIT TO THE FATHERLAND"
MOSCOW-Russia, November 28, 2018-International Fencing Federation (FIE) President Alisher Usmanov has been awarded the Russian Order "For Merit to the Fatherland" during a state ceremony presented by President Vladimir Putin in the Catherine Hall of the Kremlin. BUENOS AIRES, Argentina, October 7, 2018 - On the first day of fencing at the third Youth Olympic Games (YOG) in Buenos Aires, Argentina, youth fencers from Japan and Hungary took gold in individual women's foil and men's sabre. IOC President Thomas Bach visited the fencing event, taking place in the YOG Africa Pavilion. BUENOS AIRES, Argentina, Oct. 5-6 2018 - The "Olympism in Action" Forum takes place in Buenos Aires on October 5-6 prior to the opening of the 2018 Youth Olympic Games, providing a broad array of sport-related discussions and presentations and including a diverse group of Olympic athletes and champions, refugee Olympic team members, sport federation leaders, Olympic city mayors, UN leaders, Olympic partners, local and international officials and dignitaries, academics, "Young Change-Makers" and journalists. Notably, Mauricio Macri, President of Argentina and Thomas Bach, International Olympic Committee (IOC) President and fencing Olympic gold medallist, will lead the opening session in conversation with Argentina's Jennifer Dahlgren, a hammer-throw Olympian. 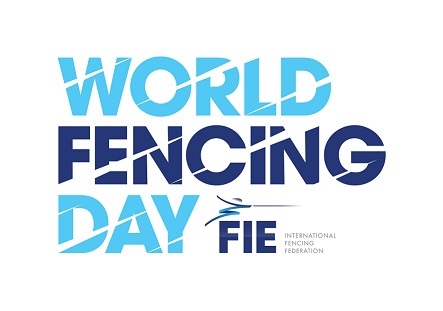 LAUSANNE, Switzerland, Sept. 8 2018 - The second-annual World Fencing Day, Sept. 8 2018, took place worldwide bringing the fun, thrill, and experience of the sport of fencing to people of all ages, skills and athletic abilities. With International Fencing Federation (FIE) member organizations alongside athletes and coaches, fencing is actively reaching communities and individuals everywhere. International Fencing Federation (FIE) President Alisher Usmanov announced plans to make the sport one of the most popular on the Olympic programme at the organisation's annual Congress in Dubai. 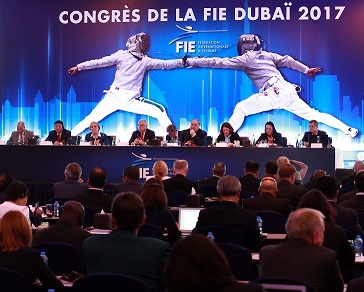 DUBAI, UAE, Nov. 25, 2017 - The annual congress of the International Fencing Federation (FIE) took place in Dubai, United Arab Emirates, with delegates from 129 national fencing federations discussing the results of the previous year and the future of fencing. LAUSANNE, Switzerland, September 11, 2017 - Around the globe, it was a day to celebrate the sport of fencing. World Fencing Day, on Saturday, September 9, featured a theme of Solidarity and brought Olympians together with those holding a sword for the first time, fencing clubs took to the streets to demonstrate dueling for wide-eyed children, and aspiring young fencers shared hopes and dreams with masters of the piste. The Solidarity theme gives a common purpose to everyone celebrating fencing, and strives to make it available to anyone, anywhere. 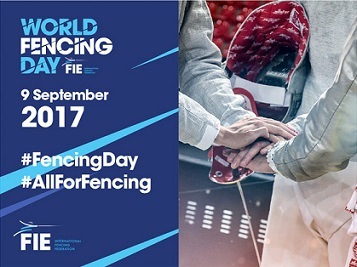 World Fencing Day, September 9, 2017, is approaching quickly, and the FIE would like to ensure all of its member federations and confederations around the globe are excited about the day and ready to participate fully in the event. LAUSANNE, Switzerland, June 9, 2017 - The Executive Board of the International Olympic Committee (IOC) today granted the request of the International Fencing Federation (FIE) for two additional team events at the Olympic Games. 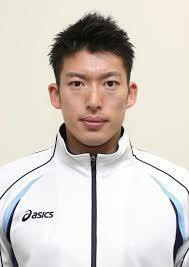 Therefore, at the 2020 Olympic Games in Tokyo, fencing competition will comprise six individual and six team events.